Erasmus’ Adages—a vast collection of the proverbial wisdom of Greek and Roman antiquity—was published in 1508 and became one of the most influential works of the Renaissance. It also marked a turning point in the history of Western thinking about literary property. 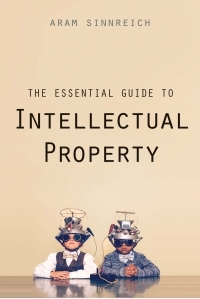 At once a singularly successful commercial product of the new printing industry and a repository of intellectual wealth, the Adages looks ahead to the development of copyright and back to an ancient philosophical tradition that ideas should be universally shared in the spirit of friendship. 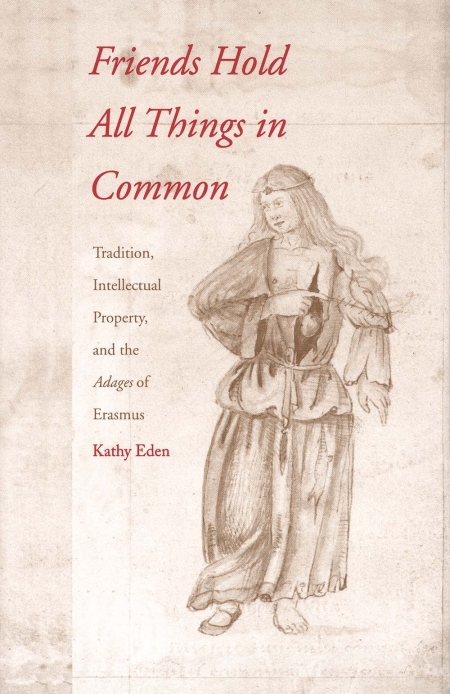 In this elegant and tightly argued book, Kathy Eden focuses on both the commitment to friendship and common property that Erasmus shares with his favorite philosophers—Pythagoras, Plato, and Christ—and the early history of private property that gradually transforms European attitudes concerning the right to copy. In the process she accounts for the peculiar shape of Erasmus’ collection of more than 3,000 proverbs and provides insightful readings of such ancient philosophical and religious thinkers as Pythagoras, Plato, Aristotle, Cicero, Iamblichus, Tertullian, Basil, Jerome, and Augustine. Kathy Eden, Mark Van Doren Professor of Humanities at Columbia University, is also the author of Hermeneutics and the Rhetorical Tradition, published by Yale University Press.